Give your CRM users the ability to convert Quotes and create Invoices in Xero. Quick2Xero enhances Advanced OpenSales. 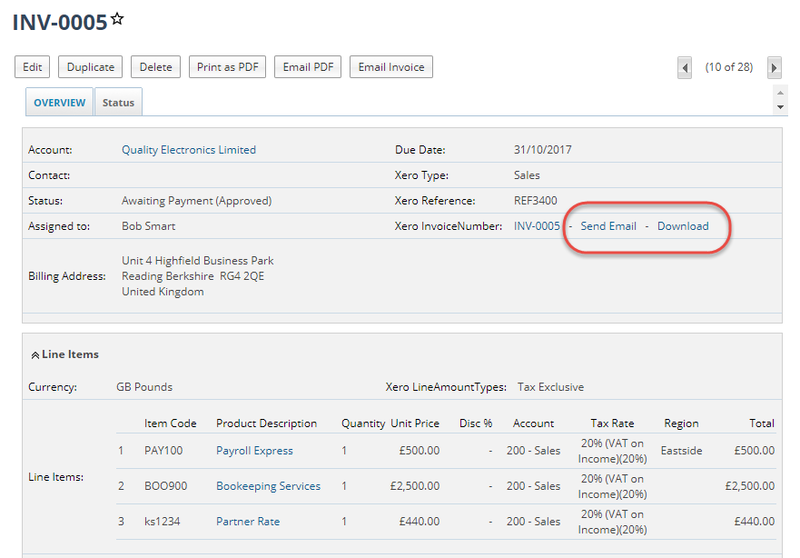 Bi-directional synchronisation of Invoices. Keep track of which customers owe money, which invoices have been paid or credited. Quick2Xero saves you time by removing double entry and improves customer service. 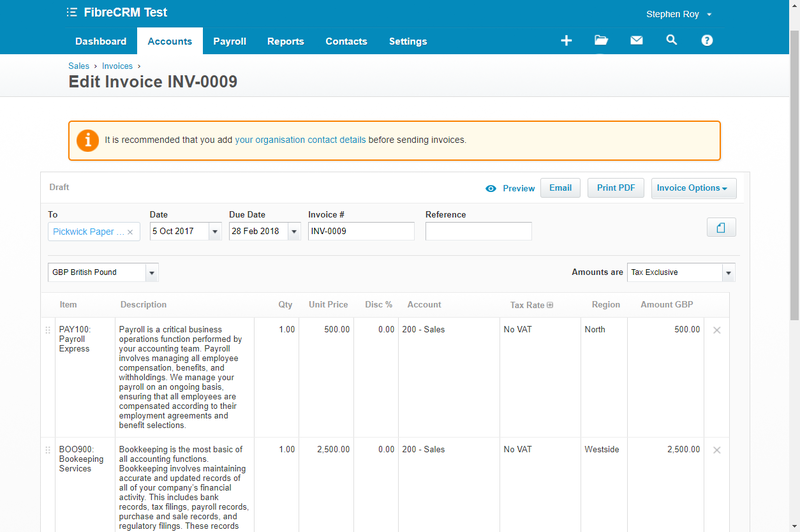 Turn your CRM Quotes into Xero Invoices at a push of a button. Synchronize your Accounts, Inventory and Invoices. In CRM, keep track of who has paid and who hasn't by synchronizing Xero payment history. 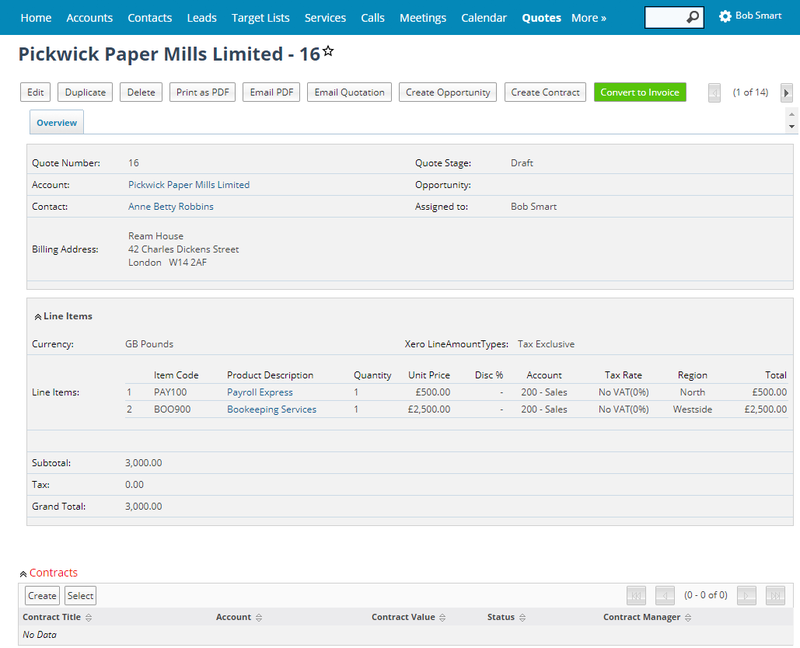 Let your sales team send Xero invoices to customers through CRM without the need to give sales people access to Xero.